JAY QASIM is back home in West London and in pursuit of normality. He’s swapped dop-dealing for admin, and spends his free time at the local Muslim Community Centre or cruising around Hounslow in his beloved BMW. No-one would guess that he was the MI5 spy who foiled the most devastating terrorist attack in recent history. But Jay’s part in sabotaging Ghurfat-Al-Mudarris’ hit on London didn’t pass unnoticed. IMRAN SIDDIQUI was trained to kill in Afghanistan by tthe terrorist cell who saved his life after his home was destroyed by war. The time has finally come for him to repay them – throwing him headlong into the path of Jay Qasim. Now, they must each decide whose side they’re really on. 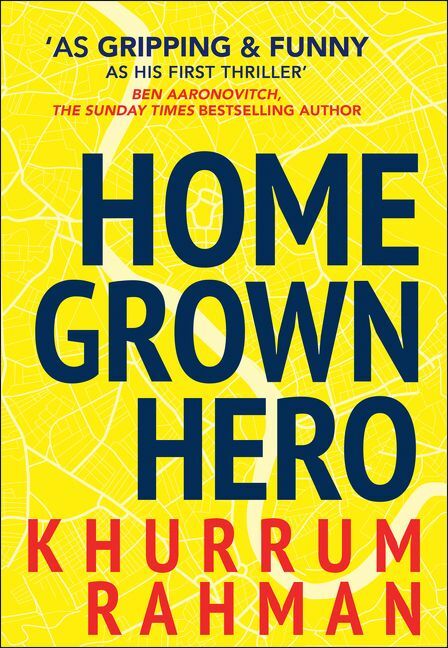 Pakistan-born, West London-raised crime writer Khurrum Rahman takes us deep into his characters’ family lives and leavens violence with humour in HOMEGROWN HERO, an action-packed tale about spies and terrorists that merges global concerns with household and everyday issues. There's a real fizz to Rahman's storytelling that makes it a little different to much of what else is out there, and definitely well worth a read. In a way, it reminds me of films like Lock, Stock and Two Smoking Barrels or Layer Cake, where there is plenty of action and violence, but lots of humour too, Things are compelling and breakneck while not feeling too 'thin'; Rahman layers in some issues. 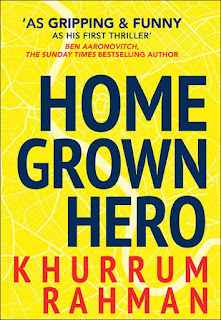 A sequel to Rahman's well-regarded debut, HOMEGROWN HERO sees the return of Jay Qasim, who is now looking for a quiet life after his hidden-from-the-headlines heroics foiling a potentially devastating terrorist plot. Jay is far from your typical crime fiction 'hero' - he's a former drug dealer turned double agent and terrorist trainee, who is now working in IT while living off a golden handshake from his MI5 paymasters. But while he’s done with that life, it’s not done with him. A sheik issues a fatwa on Jay, activating Imy, another west London boy who’s been most concerned lately with trying to make things work with his white girlfriend and her son, while fending off his older sister’s attempts to find him a wife within the local Muslim community. Rahman delivers a fresh and unique ‘spy thriller’ that touches on big issues like radicalisation, white nationalism, and the grooming of youngsters for violent causes, while never feeling ‘too heavy’. A propulsive page-turner that also gives readers plenty to think about.